The Osceola Velo Club (originally of Central Florida, hence the name, and now) based in Lawrence, KS is an unsponsored, USA Cycling affiliated, road racing bicycle club which specializes in the development of the novice road racer (road, track, cyclo-cross). 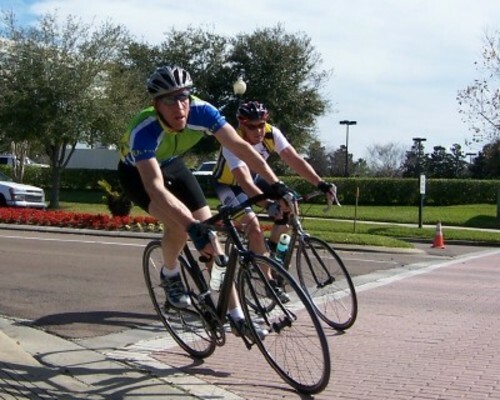 Whether you are a total newbie, an experienced racer, or just want to get "race fit," the Osceola Velo Club is the place for you. 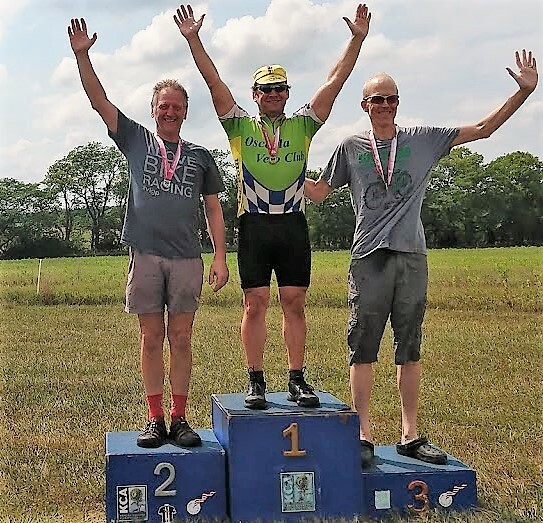 Come learn the ropes of bicycle road racing under the guidance of a nationally licensed cycling coach and experienced road racer (road, track, cyclo-cross). "Personal Improvement," "Teamwork," and, above all, "Have Fun!" 31 Dec 2018 - Final "weekend" of racing for the 2018 Kansas Cyclo-Cross Season with the Grote Prijs Shawnee Sunday and 'Cross Off the Old Year Monday held at Herman E. Laird Park in Shawnee, KS. Osceola Velo Club's Pat Schlager was on hand for some true cyclo-cross conditions -- mid-to-upper 30's (Fahrenheit) each day, thawing mud Sunday, total slop-fest Monday. Pat S. had a great race Sunday, being able to ride most all of the course. Not so much riding for Pat on Monday though. Despite the tough conditions, Pat's 6th on Sunday and 5th on Monday bumped him up into 2nd place overall in the Series60CX Points Series in Single-Speed! Check out some photos of Pat at Herman E. Laird Park.